Whoa…..we know Kung Fu! Wait….no we don’t, but we do have a Matrix-filled episode for this week’s podcast! 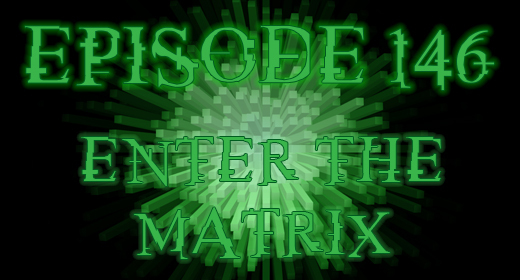 Enter the Matrix with the Geeks this week as the guys dive head first into all things Matrix. We reveal your #TweetTheGeeks Question of the Week answers, discuss the Matrix trilogy, and all of the great Matrix properties. In honor of the Ant Man trailer being released, during the break make sure you check out our Blast From The Past! skit, featuring the Founders, in Behind the Candelabra. Remember that Logan saved That’s My Jam! last week, but did the machines capture Apps of the Week? Stick around for the end; who doesn’t want to hear four grown men sing Seal’s Kiss From A Rose? Also, make sure you check out our new partners for 2015: lynda.com! We challenge you to do something great for yourself in 2015 with a free 10-day trial to lynda.com by visiting lynda.com/justusgeeks. Check out over 3,000 courses on topics like web development, photography, visual design and business, as well as software training like Excel, WordPress, and Photoshop. Get geeky at lynda.com! Iiiiiive beeeeen stabbed by a fire knife in the face!!! !